This air-compressed hand sprayer with a capacity of 1500ml (1.5L) is comfortable, light and durable devices. Manufactured from high quality parts – Chemically resistant to most aggressive chemicals and detergents. Can be used in industry, garages, factories, car wash. 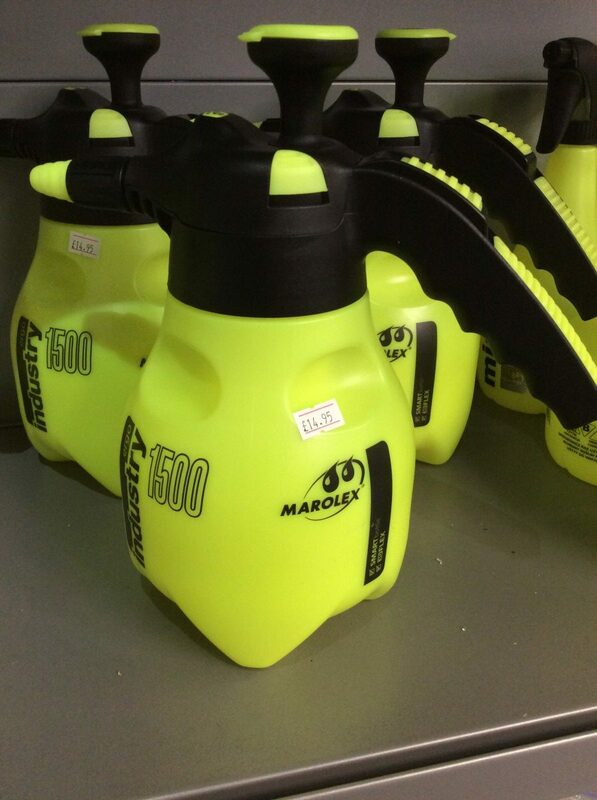 This Master Marolex air-compressed hand sprayer with a capacity of 1500ml (1.5L) is comfortable, light and durable devices. Chemically resistant to most solutions and manufactured from high quality parts, it is ideal for small nurturing and protection treatments on plants in the house and the garden. The sprayer with the VITON sealing are designed for more aggressive chemicals and detergents. Used in industry, garages, factories, car wash. These devices can also be used for disinfection and pest control. Please note this product is not suitable for use with brake cleaners.